This un-chillfiltered Single Malt is a small batch quite peaty whisky. 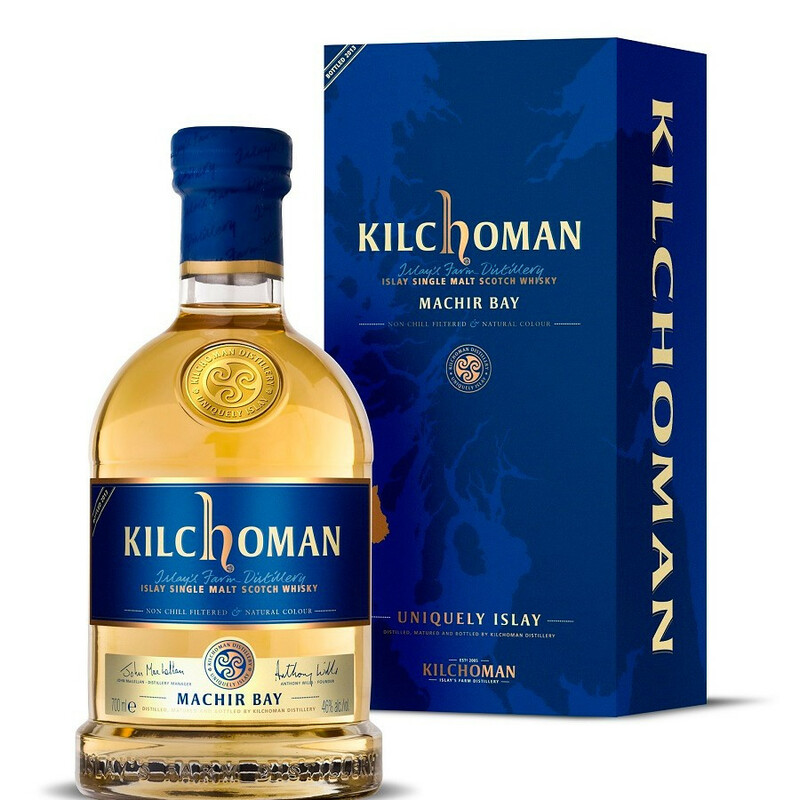 Kilchoman Machir Bay is the first standard and steady reference of the Kilchoman range. It is a combination of 3, 4 and 5 Year-old whiskies. Released in 2012, this Single Malt picked the "Best in Class" Gold Medal at the prestigious International Wine & Spirit Competition. Aged in first fill Bourbon barrels and finished for another 8 weeks in Oloroso Sherry casks, this un-chillfiltered version has become a key product of the range! Kilchoman crafted here an extremely pleasant young whisky and achieved a perfect combination of tropical fruits, smoky peat and sweet vanilla. This Single Malt is a small batch of quite peaty whisky. Bottled once a year, each new version contains more mature casks, and features an interesting evolution of Kilchoman's malt. Nose: peat smoke, vanilla, lemon zest, liquorice, camphor, cloves and pepper. Palate: a strong peaty presence with notes of smoked ham, vanilla, liquorice, cloves, nutmeg and peppery notes. Finish: of amazing length, smoky and slightly spicy. Silver Medal, International Wine & Spirit Competition 2013. IWSC 2012 Gold Award - Best in Class.